Keeping time is essential for all musicians, and Metronome Pro is a great way to ensure that you are always practicing at the correct tempo. Metronome Pro can be used as a basic "old school" metronome and includes advanced features to take your tempo practice to a new level. In its basic mode, Metronome Pro will keep perfect time as you practice along while the advanced features provide additional practice tools such as increase tempo, trade 4's, even a song length calculator. All possible time signatures are supported, including composite time. If you need a drummer, Metronome Pro can easily be turned into a drum machine to play the drum track from any standard MIDI file. 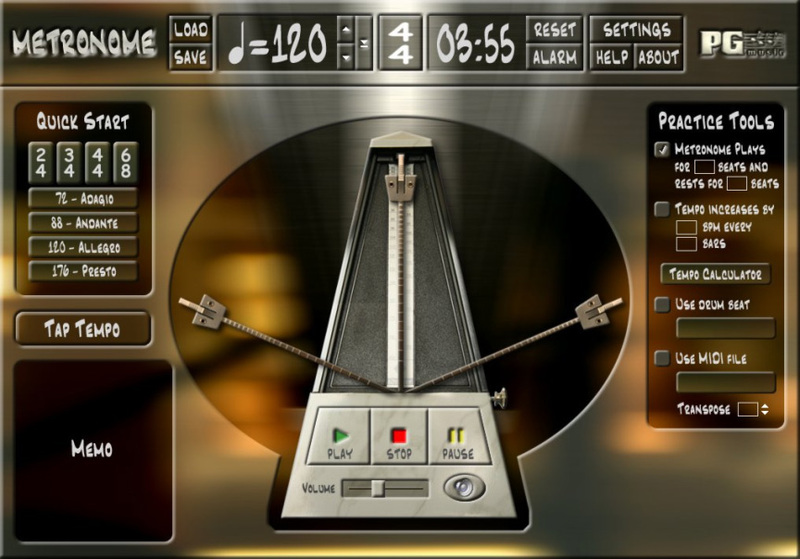 Metronome Pro is an excellent tool for musicians of any level.